InLighten Cradling Swing - Lullaby Lion is rated 1.8 out of 5 by 4. Designed with parenthood in mind.™ Delight baby with personalized music and an adorable, plush fashion. Ingenuity™ InLighten Cradling Swing ™ - Lullaby Lion™ fashion allows you to choose the music you and your baby hear just by plugging in your Mp3 player or smartdevice. The LightBeams™electronic mobile entertains baby with moving lights, melodies and plush toys that spin. The swing seat rotates 180 degrees so baby can swing or sway and always keep mom in view. AC adapter helps save money on batteries and the SlimFold™ design makes it perfect for moving and storage. 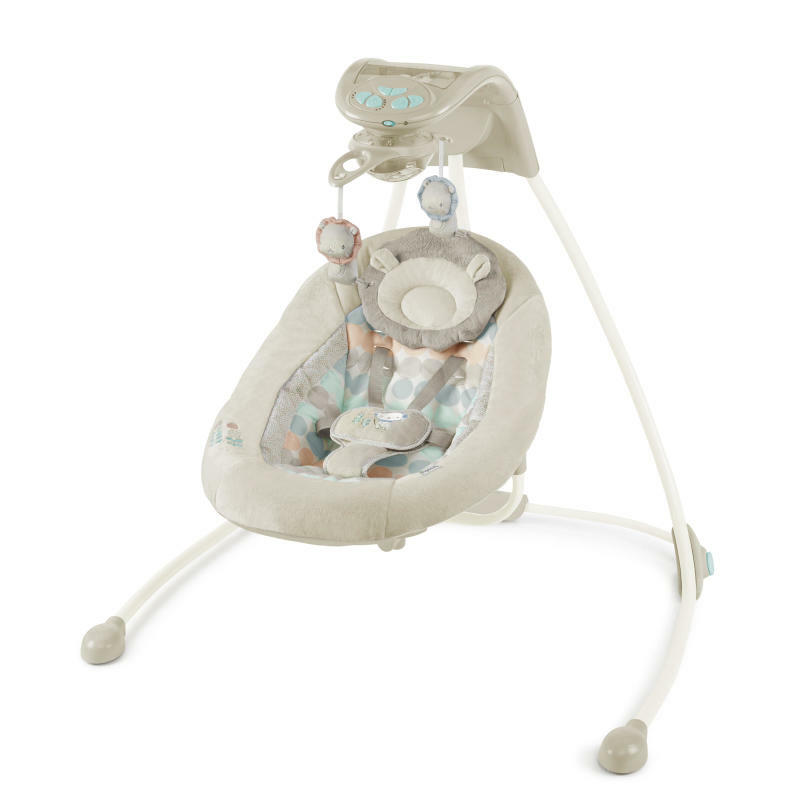 Six different swing speeds and 3 timer settings make it easy to keep baby calm and comfortable. The ConnectMe™ feature also stores your mp3 or smart device so that baby can see the screen to enjoy family photos, videos and more. Seat pad and headrest - Machine wash with cold water, gentle cycle.Frame, toy bar, and toys - Wipe clean with a damp cloth and mild soap. Rated 2 out of 5 by Beth from I liked it but it stopped working This swing was a gift from my in-laws and I really liked it but in only a month the swing stopped working. The lights and music still work but the swing won't swing anymore which is very disappointing.